– Sundance Institute and Picturehouse announced today the programme of feature films, short films and panel discussions for the Sundance Film Festival: London 2019, taking place May 30 – June 2 at Picturehouse Central, presented in association with Adobe. The festival will present 12 feature films from this year’s Sundance Film Festival in Park City, Utah, U.S.A., selected for London by the Sundance Institute programming team in collaboration with Picturehouse. The festival will open with the European premiere of “Late Night,” written by and starring Mindy Kaling alongside Emma Thompson. The festival will close four days later with the UK premiere of Penny Lane’s “Hail Satan?.” See the full lineup, along with ticket information and screening times, right here. – The 21st Annual Sarasota Film Festival celebrated its Closing Night on Saturday, April 13, at the Sarasota Opera House after an exciting festival featuring diverse and unique films, inspiring panels, educational outreach, and more. The festival also celebrated the groundbreaking of its new facility 332 Cocoanut, a new arts and residential space establishing a home for the festival in the heart of Sarasota and continuing its commitment to the community and filmmakers around the world. You can see the full list of winners right here. – The Greenwich International Film Festival has announced the honorees for the 5th annual Changemaker Gala, which will take place on May, 30, 2019 in Greenwich, Connecticut. The Changemaker Award honors artists who have used their public platform and the power of film to further positive social change. This year, activist and actress, Eva Longoria Bastón, will be honored for her work to empower Latina woman and girls through the Eva Longoria Foundation. Bobby Walker, the Community Changemaker honoree at the 2019 festival, will be recognized for his work supporting the Boys & Girls Club of Greenwich. Past Changemaker honorees include Renée Zellweger, Christy Turlington Burns, Freida Pinto, Trudie Styler, Abigail Breslin, Harry Belafonte, Mia Farrow, and Ashley Judd. Award-winning actor, producer, director, entrepreneur and philanthropist Eva Longoria Bastón (“Desperate Housewives,” forthcoming “Dora and the Lost City of Gold”) established the Eva Longoria Foundation in 2012. The Foundation’s mission is to help Latinas build better futures for themselves and their families through education and entrepreneurship. Through its programs in STEM education, mentorship, parent engagement, college scholarships and entrepreneurship, the Foundation has impacted the lives of more than 23,000 Latinx people in the United States and Mexico. Longoria Bastón is a founding member of the Time’s Up movement that addresses systemic inequality and injustice in the workplace, and a powerful voice for the representation of women and people of color in media. Longoria Bastón was named “Philanthropist of the Year” by The Hollywood Reporter and honored with a Lifetime Achievement Award at Variety’s annual Power of Women Luncheon. – 1091 Media has announced its first theatrical acquisition for the new company: North American distribution rights to “Before You Know It,” directed by Hannah Pearl Utt in her feature directorial debut. Written by Utt and Jen Tullock, the film was produced by Mallory Schwartz, Josh Hetzler and James Brown. It premiered at the 2019 Sundance Film Festival in the U.S. Dramatic Competition and a theatrical release is planned for the second half of 2019. Per its official synopsis, the film “thrusts co-dependent, thirty-something sisters Rachel and Jackie Gurner into a literal soap opera after a long-kept family secret is revealed, taking them on a journey that proves that you really can come of age, at any age.” The film’s all-star cast includes Judith Light, Mandy Patinkin, Mike Colter and Alec Baldwin alongside Hannah Pearl Utt and Jen Tullock. Executive producers on the film are Giri Tharan, Donna and Kevin Gruneich, Eric and Susan Fredston-Hermann, Mary Jane Skalski, Robin Bronk, Tim Daly, and Brian DeVine. – Lurker Productions will release the acclaimed documentary “Love, Antosha” theatrically in Los Angeles on August 2and in New York on August 9. mTuckman media, which has worked with the producers of films such as “Upstream Color,” “Columbus,” “Bisbee ‘17,” and Frederick Wiseman’s “Ex Libris: The New York Public Library,” will be working with Lurker Films to bring the film to theaters across the country throughout August and September. The documentary had its World Premiere at the 2019 Sundance Film Festival this past January. – Kirkpatrick & Kinslow Productions (“Boomtown: An American Journey,” “Unlikely Family,” “Susan’s Story”) has announced it has greenlit the new documentary “Lucia’s Voice.” The film will feature the first baritone transgender woman performing a lead role in an opera in the United States. Internationally renowned opera star Lucia Lucas will perform the hyper-masculine role of Don Giovanni in Tulsa Opera performances in May. Emmy-winning KKP producers Russ Kirkpatrick and Andy Kinslow are joined by executive producer Josh Bachove (“Lizzie,” “Yoga Hosers,” “The Little Hours”) and director James Kicklighter (“The American Question,” “Desires of the Heart,” “Angel of Anywhere”) for the feature-length film. Principal filming on the documentary begins in April. The film will look into Ms. Lucas’ life, her love of opera, and will examine the affection the mid-sized modern American city of Tulsa — where Ms. Lucas will perform — has historically had for the arts. Tulsa and Oklahoma crew will also be utilized in filming. In addition to filming in Tulsa, plans include visits to Europe — where Ms. Lucas has performed in Dublin, London, Brussels, and Berlin — and to her home state of California. – EXCLUSIVE: Organizers have today announced plans for the first annual Northwoods Film Festival, to be hosted on August 16 and 17, 2019 at the Lakeland Cinema 6 in Woodruff, Wisconsin. Over the course of two days, the non-for-profit festival will bring groundbreaking and dynamic programming to local audiences, aiming to create conversation and appreciation for film in Northern Wisconsin. The lineup for the festival, which will be announced in the coming months, will bring independent films showcasing thoughtful topics and engaging stories not normally available to audiences in the area. Additional announcements including the lineup and tickets sales will be shared in coming months. As it begins an exciting journey, the festival is pleased to have the support of many local organizations and public figures including Suick Theaters, the Minocqua Chamber of Commerce, and the Town of Woodruff. Local audiences and organizations are encouraged to participate in the festival to help create an event that is for the community, and can be sustained for additional years to come. Additional information on how to support the festival including sponsorship opportunities can be found on the festival’s website. – The Tribeca Film Festival, presented by AT&T, will continue its tradition of celebrating activism in the arts with the inaugural Tribeca Celebrates Pride, a day-long event on Saturday, May 4 at the Tribeca Festival Hub at Spring Studios. The day will honor the 50th anniversary of the Stonewall riots, including one-on-one interviews with LGBTQ+ luminaries including Neil Patrick Harris, John Cameron Mitchell, Larry Kramer and guest speaker Asia Kate Dillon. The program will reflect on the impact of this seminal moment for the LGBTQ+ community and include conversations with Raul Castillo, Patti Harrison, Angelica Ross, and more. Find out more information, including the full program and how to purchased tickets, right here. – Cinema Guild has picked up U.S. distribution rights to “I Was at Home, But…,” written and directed by Angela Schanelec. The film won Schanelec the Silver Bear for Best Director when it premiered at the Berlin International Film Festival. It will open in U.S. theaters in early 2020. Schanelec’s eighth feature film as director, “I Was at Home, But…” will mark the first time one of her films has received a theatrical release in the U.S. Cinema Guild has played a significant role in introducing U.S. audiences to Schanelec’s Berlin School peers Christian Petzold, Maren Ade, and Valeska Grisebach. 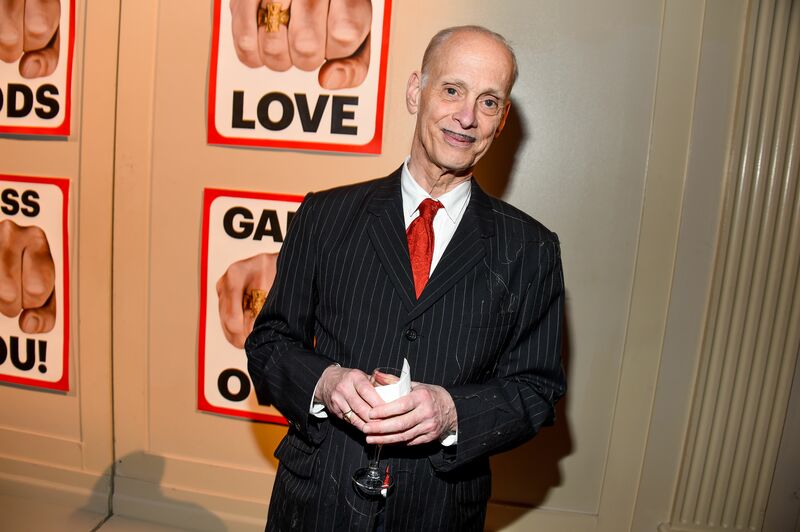 A selection of titles from John Waters’ career will accompany the tribute. Waters himself will be in attendance at the screenings of “A Dirty Shame” and “Female Trouble,” while “Polyester” will be shown in ODORAMA, reprising one of the first experiments in olfactory cinema, as performed at its original theatrical release in 1981: audience members will be given numbered scratch-n-sniff cards, to be used as and when indicated on screen in order to experience the appropriate odors. 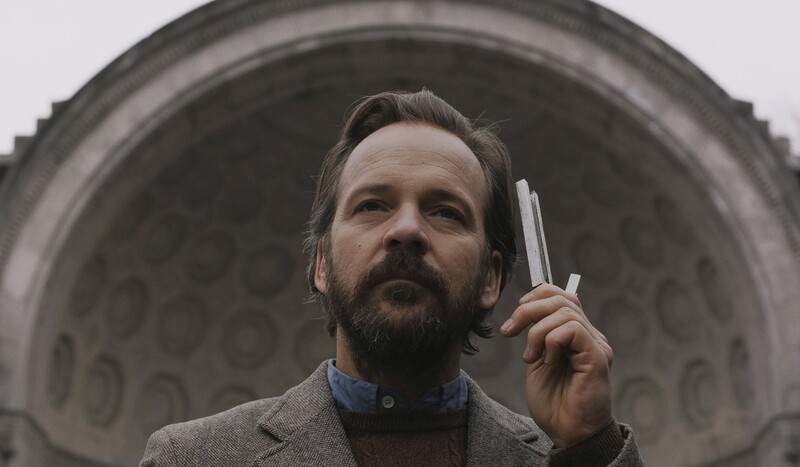 – IFC Films has acquired U.S. rights to Michael Tyburski’s debut feature “The Sound of Silence,” co-written by Ben Nabors and Michael Tyburski, starring Peter Sarsgaard, Rashida Jones, Tony Revolori, and Austin Pendleton. The film is produced by Ben Nabors, Michael Prall, Anonymous Content’s Tariq Merhab and Charlie Scully, and Keshet Films’ Mandy Tagger Brockey and Adi Ezroni. The film, which was based on Tyburski’s short film “Palimpset,” which received a Special Jury Award at the 2013 Sundance Film Festival, returned to Sundance in 2019 for its World Premiere in the U.S. Dramatic competition. The film will be released theatrically in 2019.